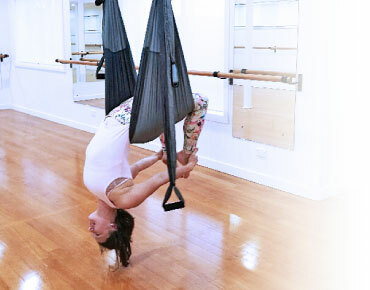 Get into the swin g of things with aerial yoga – and we mean that quite literally, it’s yoga in a swing… what’s not to love? Get topsy turvy with us in our Toowoomba studio where we have specially designed swings suspended from the ceiling that allow you to release and realign without compressing the joints or spine. The swing helps to support and assist the poses, and might even bring out the inner child that we know is hidden in you somewhere! Be sure to book in, because spaces fill up fast – and we don’t want you to miss your chance to fly!